Lawrence Halprin at Sea Ranch. Photo by Charles Birnbaum. Courtesy of The Cultural Landscape Foundation. 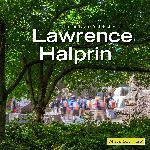 Lawrence Halprin (1916-2009) was one of the most influential landscape architects of the 20th century. Over a career spanning more than five decades, he designed significant projects across the United States and even overseas. His eponymous firm became a seedbed for many talented designers now celebrated in their own right. The innovative techniques that he pioneered changed the field of landscape architecture forever. 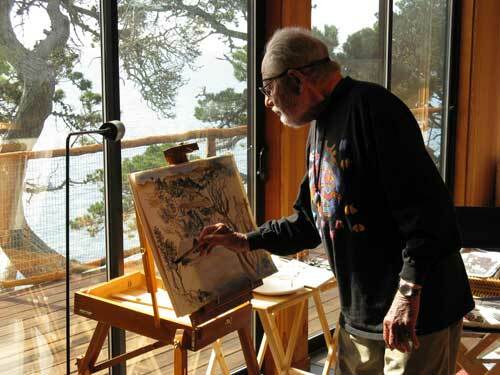 Born in Brooklyn, Halprin studied at Cornell University, the University of Wisconsin, and Harvard University before entering military service in World War II. After the war, he settled in San Francisco, where he developed close associations with prominent architects and other designers on the faculty of the University of California, Berkeley. He opened his own firm there in 1949. Halprin’s revolutionary work was set apart by strong, expressive forms that evoked the structures and processes of nature, often with terracing enlivened by flowing water. By animating a wide array of urban areas (including industrial zones and spaces around freeways) with designs that were artistically composed and ecologically sensitive, Halprin showed that landscape architecture could be a force—indeed, the dominant force—in re-invigorating American cities. In the Washington, D.C. area, Halprin designed the Franklin Delano Roosevelt Memorial, a sequence of outdoor rooms located across the Tidal Basin from the Jefferson Memorial and next to the Martin Luther King, Jr., Memorial. He also designed the downtown pedestrian mall in nearby Charlottesville, Virginia. Both projects are included in the exhibition. This traveling exhibition features more than 50 newly commissioned photographs of Halprin projects, which beautifully depict how these landscapes have matured. Included exclusively in the National Building Museum’s presentation of the exhibition are original drawings, notebooks, and other artifacts from the Lawrence Halprin Collection at the Architectural Archives, University of Pennsylvania, and early drawings from Edward Cella Art + Architecture in Los Angeles. The Landscape Architecture of Lawrence Halprin was organized and curated by The Cultural Landscape Foundation (TCLF) in collaboration with the National Building Museum. The exhibition was organized as part of TCLF’s Landslide program, which calls attention to threatened and at-risk works of landscape architecture.